The Audi A4 has been the German automaker's best-selling model for 39 years running with over 10 million individual examples sold, so any sort of major update to the machine is a big deal in Ingolstadt. For the 2013 model year, Audi has bestowed its A4 with revised sheetmetal and powertrains in order to keep it at the forefront of the entry-level luxury car arena... which is especially important with a new BMW 3 Series on its way. A quick glance may not be enough to take in all the visual changes to the latest A4, but a closer look reveals that there are revisions to nearly every surface, including the front fascia, bumpers and hood. The headlights and taillights have been reworked to more closely match the rest of the lineup with a "slight wave" at the bottom and highly stylized LED elements. Inside the cabin, new steering wheels, refined finishes and a somewhat simplified MMI infotainment system. European buyers will be able to select from six turbodiesel and four gasoline engines, all with forced induction and direct injection for maximized power and efficiency. In the States, we're expecting at least the 2.0-liter turbocharged four (211 horsepower) and 3.0-liter supercharged six with up to 333 horsepower in high-performance S4 trim. That's enough ponies to hit 60 miles per hour in about 5.0 seconds. There's a slim chance the U.S. could get a crack at the new 1.8-liter turbo four as well, but we're not holding our breath. As you would expect, Quattro all-wheel drive will be available across the line, and power will reach the wheels through either a six-speed manual, CVT automatic (front-wheel drive only), eight-speed auto or seven-speed dual-clutch gearbox. Audi is also introducing a new electromechanical power steering system for the 2013 A4. 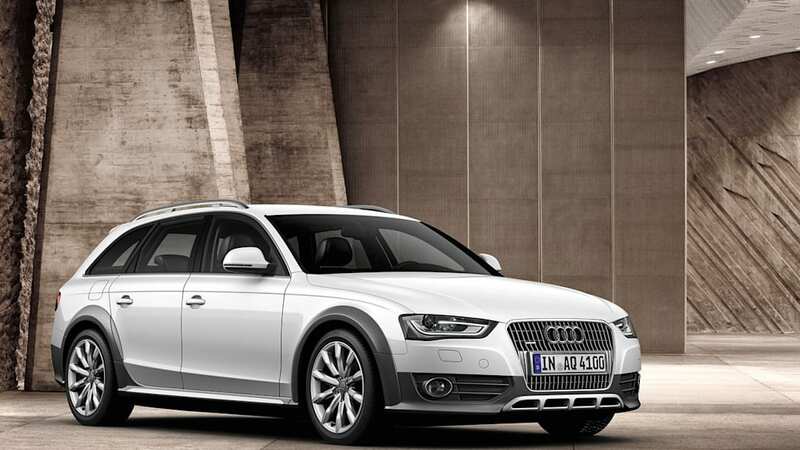 We're expecting Audi to bring the A4 and S4 to the U.S. in the summer of 2012 as 2013 models, and we should also get the new A4 Allroad wagon as well. You can see a whole slew of images in our high-res galleries, and we've embedded videos highlighting the new A4 Allroad and S4 after the break (along with the press release, naturally) for your viewing pleasure. A bestseller has become even more attractive: Audi has updated the A4 series. New solutions for efficiency, driving dynamics and infotainment, along with an even more attractive design, attest the "Vorsprung durch Technik" achieved by the A4 Sedan, the A4 Avant, the A4 allroad quattro and the S4. The A4 is Audi's bestseller – for 39 years now and in its eighth generation. The brand has sold ten million such models in total. The A4, with its elegance, sportiness and emotional appeal, forms the centerpiece of the Audi brand. And now the design has become even more clearly defined and striking in all models – the Sedan, the Avant, the allroad quattro and the S4. The new look further accentuates the horizontal lines at the front end. The engine hood is more arched, the upper corners of the single frame grille are tapered, and the cross ribs and the Audi rings are highlighted three-dimensionally. The grille is painted gray, with high-gloss black on the six-cylinder models or in combination with the S line exterior package. The redesigned bumpers are striking with their angular air inlets, their revised grilles and the flat front fog lights. 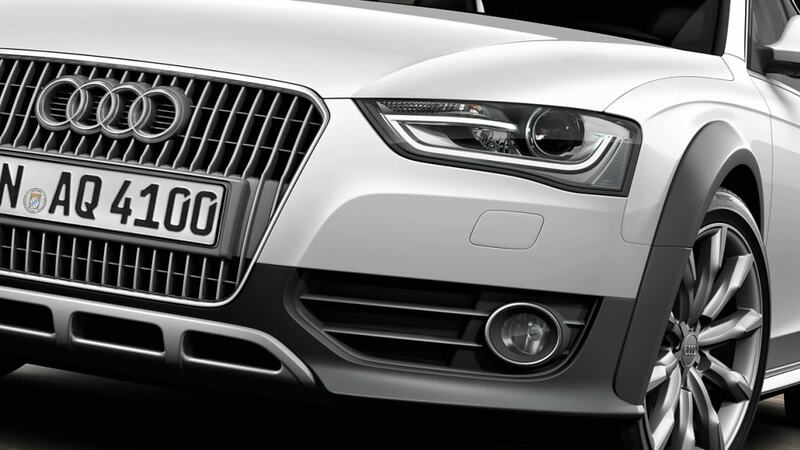 The A4 allroad quattro is distinguished by its grille's horizontal chrome applications and by the round fog lights. The headlights have also changed, with a slight wave at the bottom edges, and a re-arranged interior. Xenon plus headlights are available from Audi on request. The LED daytime running lights form a narrow, optically homogeneous band that remains open in the vicinity of the xenon lens. The adaptive light together with dynamic and static cornering lights are available on request. 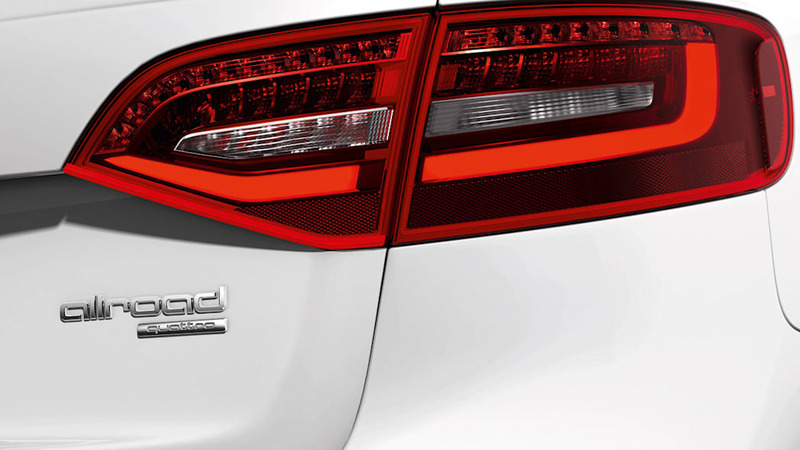 The tail lights reflect the shape of the headlights, and in combination with xenon plus have homogeneous strips of LEDs. The bumper with its diffuser insert has been redesigned, with the exhaust system always terminating in two tailpipes. There is a selection of 15 paint finishes, including four new tones. The Sedan and the Avant offer the S line exterior package, while the Avant also includes a roof spoiler. The modifications have changed the dimensions only by a few millimeters. 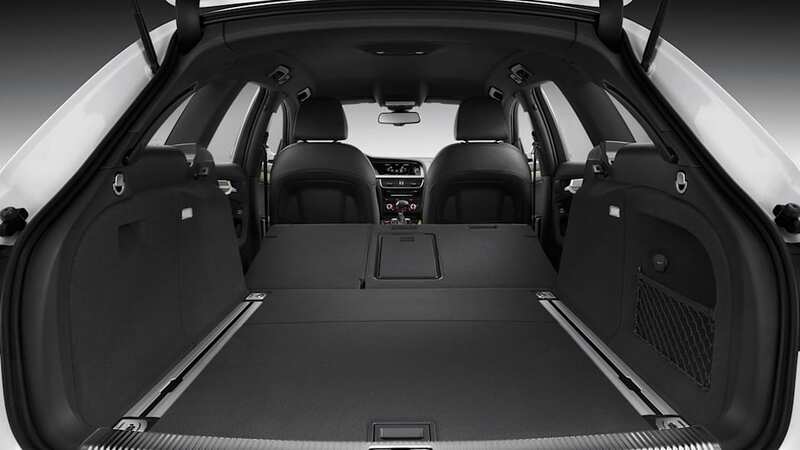 The A4 Sedan and the Avant each have a length of 4.70 meters (15.42 ft), while the A4 allroad quattro and the S4 are 4.72 meters (15.49 ft) long. The wheelbases for all models are 2.81 meters (9.22 ft), and the width is 1.83 and 1.84 meters, respectively (6.0 and 6.04 ft). The height varies between 1.41 and 1.50 meters (4.63 and 4.92 ft) depending on the body version. 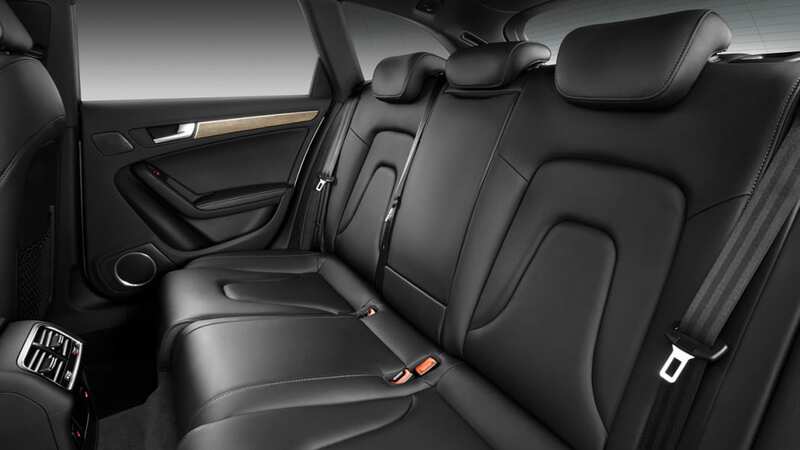 The interior of the A4 models has also been refined. 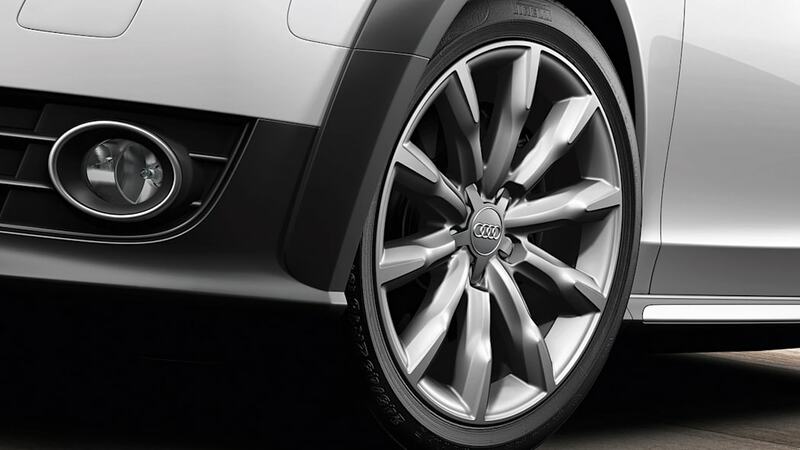 Audi offers a wide selection of new steering wheels with chrome and high-gloss inlays, with the leather sport steering wheel also featuring a flattened lower rim. The steering arm and the ignition key have been modified. High-gloss applications and the slender chrome trim at the controls add elegance to the interior. The elaborate finish makes operation even simpler and more intuitive. The MMI navigation plus system now features four instead of eight buttons, with a script function integrated in the volume control dial. Other improvements concern operation of the automatic transmission, the efficient air conditioning systems, Audi drive select and the multifunction steering wheel. The seat heating and air conditioning are now directly operated at the respective buttons. The high level of workmanship is as much a matter of course for Audi as a sure touch in the range of colors. All interior colors – except black – have been re-coordinated. The upholstery range has also been revised, with Fine Nappa leather replacing Valcona leather. 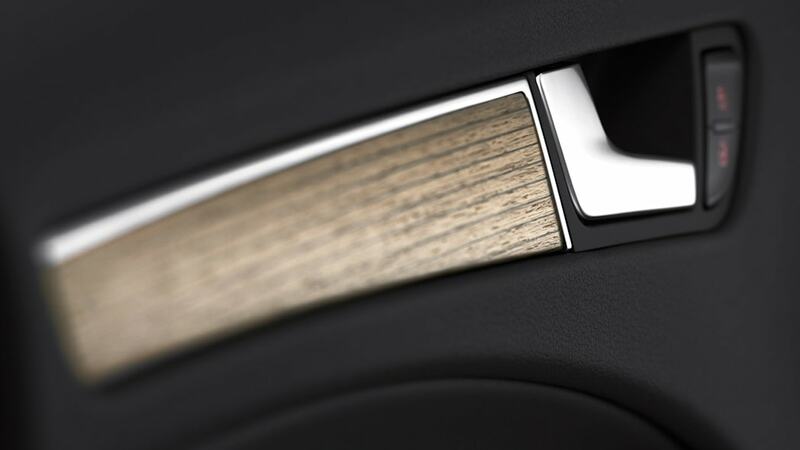 The new, single-part cluster trim has been adapted in color to the interior, while the inlays are available in Aluminum Trigon, walnut dark brown and fine grain ash natural. 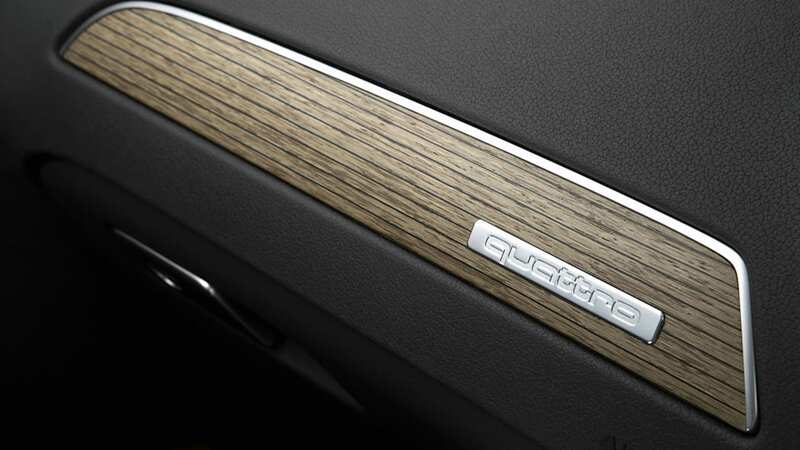 Especially eye-catching is the Beaufort oak plywood inlay. 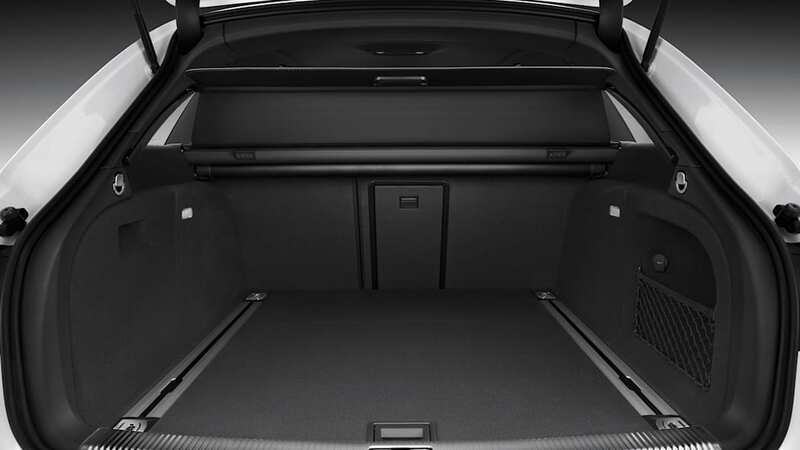 The interior of the S line sport package comes in black, refined with high-quality applications. 18-inch wheels or the optional 19-inch wheels and an S line sport suspension that lowers the body by 30 millimeters (1.18 in) complete the package. Audi exclusive and Audi exclusive line offer further individualized options. 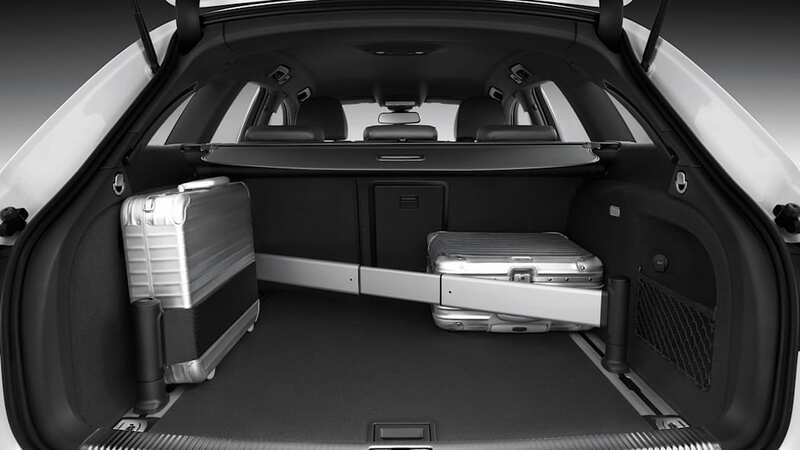 The A4 Sedan's luggage compartment still has its 480-liter capacity – 962 liters with the rear seats folded down (16.95 and 33.97 cubic ft). 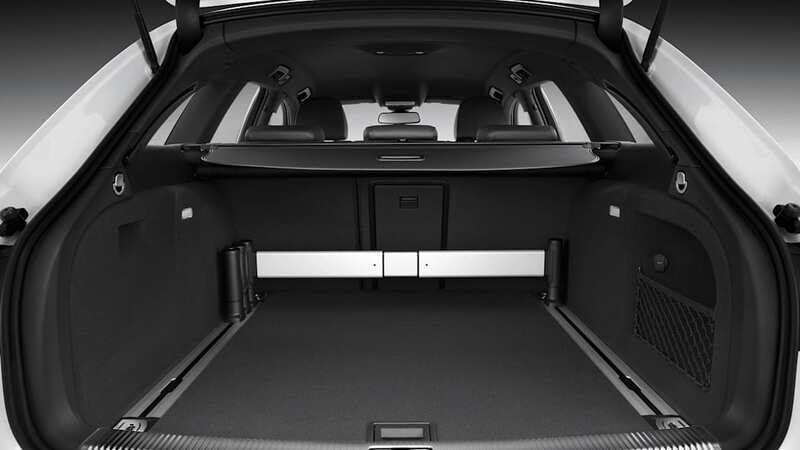 The A4 Avant and the A4 allroad quattro have 490 and 1,430 liters, respectively (17.30 and 50.50 cubic ft), with Audi offering an optional electrically operated tailgate for both models. The new A4's drive system sets new standards. The consumption levels have dropped by 11 percent on average, despite the increased power and torque of many of the engines. In the Sedan and the Avant each, Audi offers any of six TDI and four gasoline engines, with 23 possible engine-transmission combinations. All engines are supercharged direct-injection systems; the start-stop system and the recuperation system are standard throughout. The TDI engines combine pulling power with pioneering efficiency, with the four-cylinder versions presenting extensive modifications. A new centrifugal pendulum-type absorber (in the 2.0 TDI with 100 kW, 120 kW or 130 kW with quattro drive) in the dual-mass flywheel makes engine running even more refined and quieter at low revs, for even earlier upshifting and savings of up to 0.2 liters per 100 km. 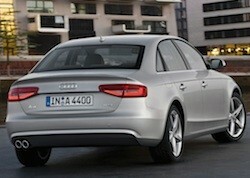 The most economical variant in the model family is the Audi A4 2.0 TDI with 100 kW (136 hp). In the Sedan, this engine needs only 4.2 liters of fuel per 100 km (56.0 US mpg) on average – a CO2 equivalent of just 112 grams per km (180.25 g/mile). The new A4 2.0 TDI with 120 kW (163 hp), also optimized for maximum efficiency, manages with 4.4 liters of diesel per 100 km (53.46 US mpg). This equates to 115 grams CO2 per km (185.07 g/mile). Both engines are available for the Sedan and the Avant. In addition, three other four-cylinder diesel engines are available – with 88 kW (120 hp), 105 kW (143 hp) and 130 kW (177 hp). 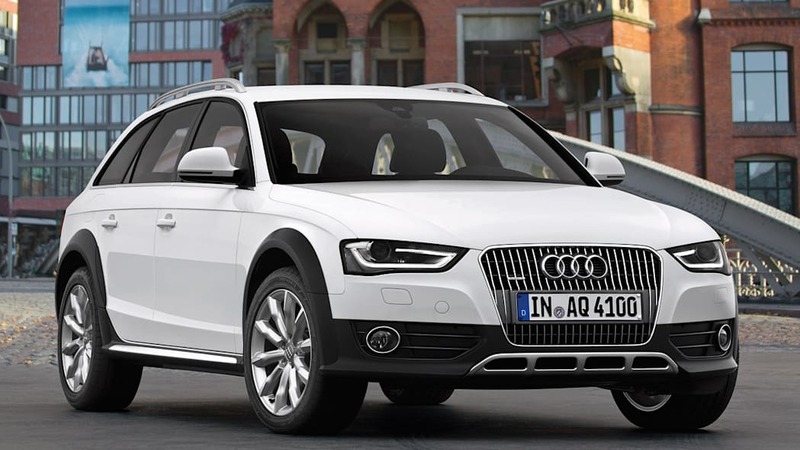 They can also be ordered for the allroad quattro, apart from the entry-level version. Three V6 TDI units complete the line. 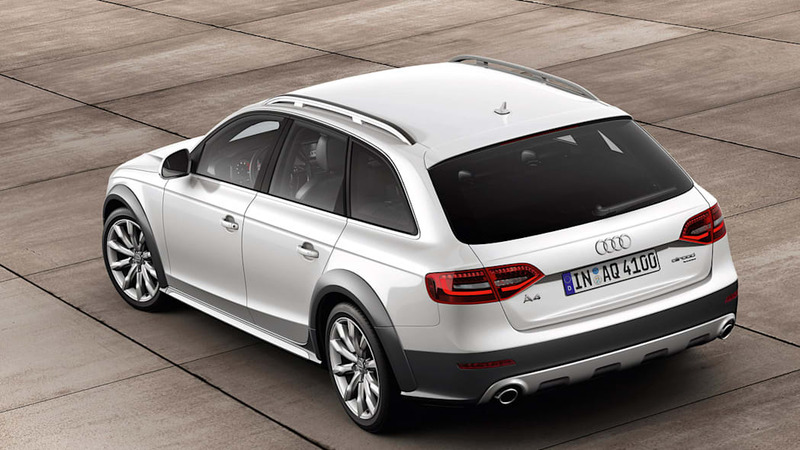 The 3.0 TDI with 150 kW (204 hp) (not for the allroad quattro) is the most efficient six-cylinder engine in its class worldwide; in the A4 Sedan it consumes an average of just 4.9 liters of fuel per 100 km (48.0 US mpg). 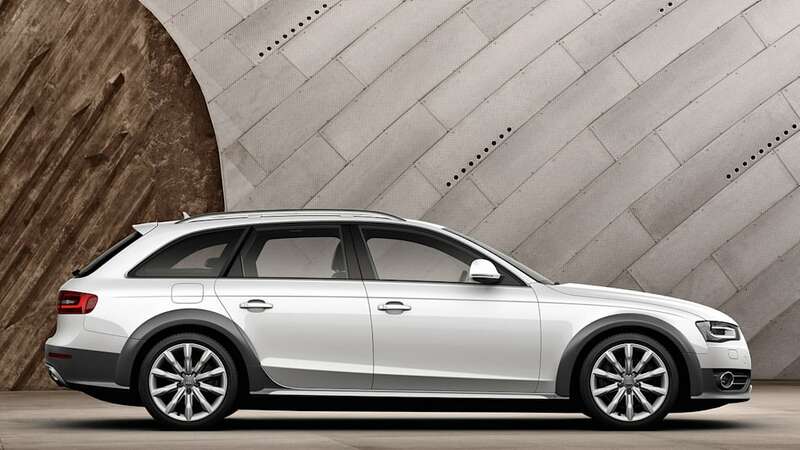 The second variant, the 3.0 TDI, generates 180 kW (245 hp), with an especially clean diesel version. The A4 series also presents the latest state of the art in gasoline engine technology. A new highlight of the TFSI family is the new 1.8-liter engine, available for the Sedan and the Avant. The four-cylinder engine delivers sporty thrust, with a power output of 125 kW (170 hp) and 320 Nm (236.02 lb-ft) of torque. The average consumption in the A4 Sedan is limited to 5.6 liters per 100 km (42.0 US mpg), or 134 grams CO2 per km (215.65 g/mile). That is a decrease in consumption of 19 percent compared with the predecessor engine. The new 1.8 TFSI engine features many innovations: in the control of its valves and their lift, in the novel thermal management system, in the fuel injection system, in the turbocharger and in the integration of the exhaust manifold in the cylinder head. The engine weighs 3.5 kilograms (7.72 lb) less and its internal friction has sharply decreased. The entry-level gasoline engine is the 1.8 TFSI with 88 kW (120 hp). 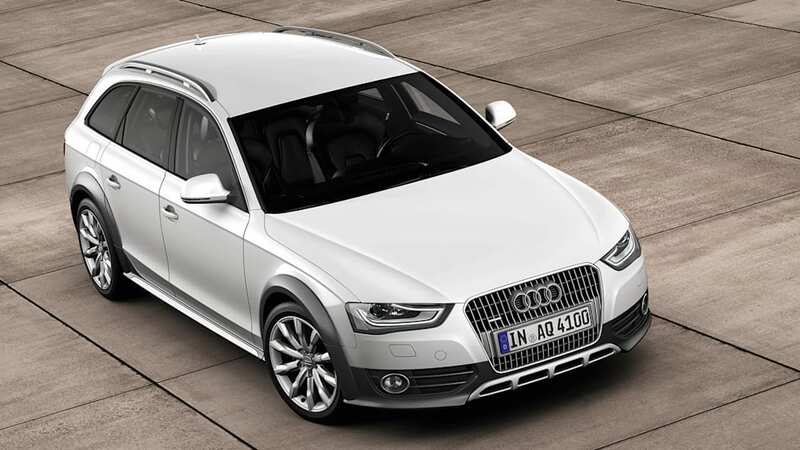 The 2.0 TFSI – as the only spark-ignition engine also available in the A4 allroad quattro – delivers 155 kW (211 hp). At the top of the line is the 3.0 TFSI in two variants. In the A4 the V6, to follow a bit later, affords 200 kW (272 hp). 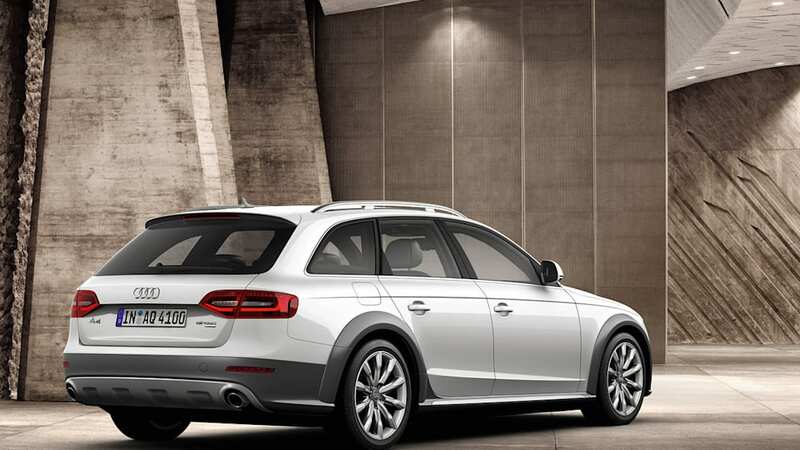 In the sporty S4 top model its power is an impressive 245 kW (333 hp). The wide range of drivetrains is typical of Audi. 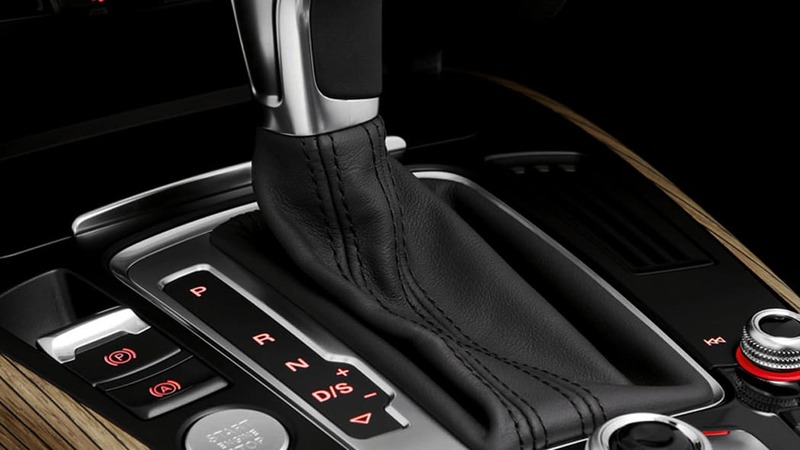 A six-speed manual transmission is standard on the Sedan and Avant models with front-wheel drive; most variants offer continuously variable multitronic as an option. The quattro versions have either the manual transmission or (as of the 2.0 TDI with 130 kW (177 hp)) the seven-speed S tronic on board. 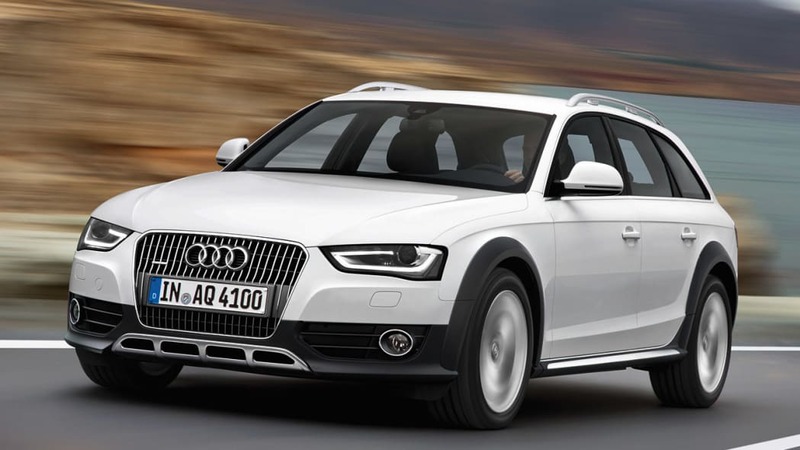 The A4 allroad quattro employs a manual transmission or S tronic with all engine versions. The innovative thermal management system shortens the warm-up phase of the manual transmission, among other things, and thereby reduces friction loss. All transmissions are distinguished by convenient and precise operation, high efficiency and a wide spread of gear ratios – the long ratios in the higher gears reduces fuel consumption, while the short ratios in the lower gears benefit the dynamics. 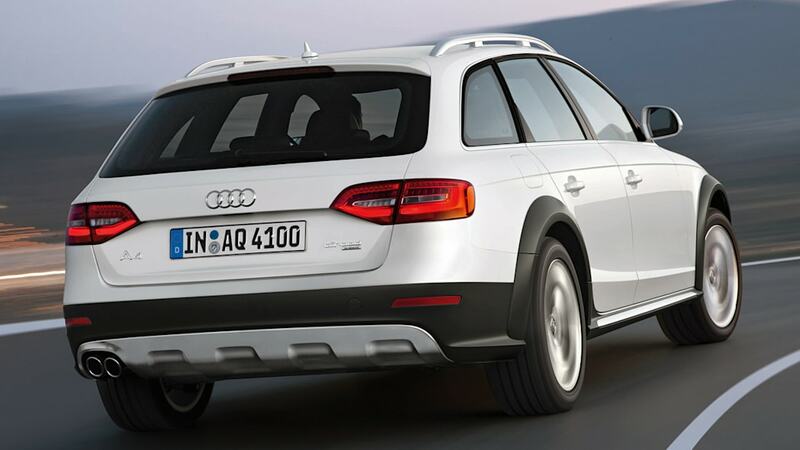 The quattro permanent all-wheel drive is standard on the A4 allroad quattro, and available in the Sedan and Avant from the 2.0 TDI with 105 kW (143 hp). The A4 family uses the self-locking center differential here. In regular driving operation it primarily transmits the engine torque to the rear wheels in the ratio of 40 to 60. If necessary, redistribution occurs within the shortest possible time. The torque vectoring function supplements the work of the center differential with finely incremented brake applications, to make handling even more precise and safer. In the V6 quattro variants Audi offers the sport differential as a supplement, lending maximum precision and high traction to the A4 when cornering at the handling limits. The high-end component actively distributes the power between the rear wheels as required. The chassis of the A4 is striking with its sporty precision, high ride comfort and superior safety. The mounts of the rear suspension control arms and the characteristics of the shock absorbers have been even more finely tuned. Most of the components of the five-link front suspension and the trapezoidal-link rear suspension are made of aluminum. The electromechanical power steering is new in all models of the series. The direct gear ratios convey precise road contact; slight brake applications counteract pulling to the side on unevenly slippery surfaces. The electromechanical power steering requires no energy for straight-ahead motion, thereby reducing fuel consumption by up to 0.3 liters per 100 km. This is equivalent to a reduction in CO2 emissions of up to 7 g/km (11.27 g/mile). Another high-end feature that gives the A4 a special status in its class is Audi drive select. In the basic package, the driver can switch the characteristic of the accelerator, the shift points of the automatic transmission, the power steering and the automatic air conditioning between the four modes "comfort," "auto," "dynamic" and "efficiency." If there is an onboard navigation system, the additional "individual" mode is also included. Further modules are optional – adaptive cruise control or the cruise control system, the sport differential, the suspension with damper control and dynamic steering. By means of a superposition gear, the gear ratio is adjusted in a continuously variable manner depending on the driven speed; at the handling limits small interventions compensate for understeering and oversteering. All front-wheel-drive versions of the A4 feature the electronic stabilization program (ESP) with electronic limited slip differential. In dynamic driving the system further improves handling and safety by initiating minimum brake interventions at the front wheel that is subject to a reduced load on the inside of the curve. The large wheel brakes – with ventilated front and rear disks in many variants – offer excellent stopping power and can be precisely modulated. All A4 variants roll off the assembly line on elegant aluminum wheels. Depending on the engine version, they are 16 or 17 inches in size; tires with optimized rolling resistance belong to the 205/60 and 225/50 series. The A4 3.0 TFSI has 18-inch wheels with 245/40 series tires. The line of options ranges to 19 inches with 255/35 series tires. Four of the 18 available wheels are new designs. 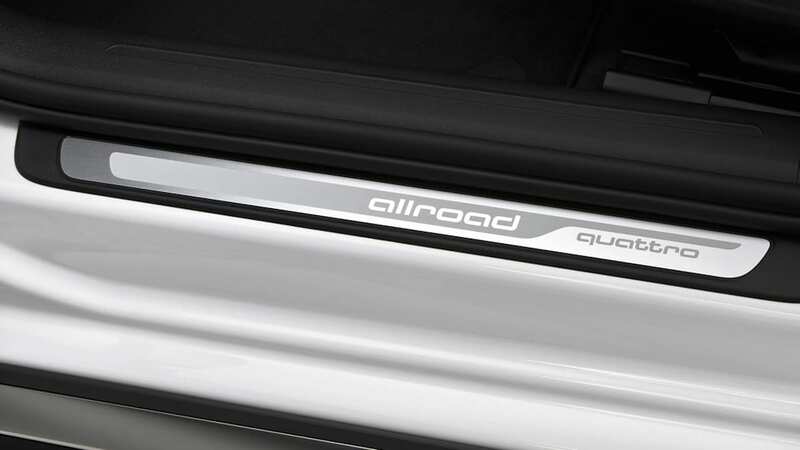 The A4 allroad quattro offers four independent designs. Audi offers highly developed assistance systems for the A4 family, for making driving even more relaxed. Standard on all variants is the new driver information system with break recommendation – it detects and draws the driver's attention to deviations from typical driving behavior on the basis of steering motions and other parameters. The adaptive cruise control assistance system keeps the A4 at a constant distance from the preceding vehicle at speeds between zero and 200 km/h (124.27 mph). If the threat of a rear-end collision becomes imminent at speeds below 30 km/h (18.64 mph), the system will execute a full brake application. Audi active lane assist supports the driver in keeping to his lane. A camera detects the lane markings and the system makes slight corrections to the steering if necessary. Audi side assist monitors the space behind the A4 by radar and detects any vehicles in the blind spot, for example. Infotainment systemsAudi offers a whole kit of state-of-the-art infotainment systems for its A4 series. The chorus CD radio with eight speakers is standard, while the MMI navigation plus system with large hard disk, color monitor, 3D graphics and DVD player forms the top of the line. Voice control and the optional digital audio broadcasting are further improvements to the system. The high-end supplement to the MMI navigation plus system is the Bluetooth online car phone. Via Audi connect the system provides special services in the car, such as voice-controlled Google searches for points of interest and navigation with Google Earth pictures, along with Google Street View. Audi online traffic information, another such service, gives the driver the latest news on congestion along the selected route. The WLAN hotspot, another feature of the Bluetooth online car phone, allows passengers in the A4 to surf the internet and send e-mails as they please with their mobile devices. The Audi S4, available in the Sedan and Avant versions, employs the most powerful engine in the line – the 3.0 TFSI with 245 kW (333 hp) and 440 Nm (324.53 lb-ft) torque. 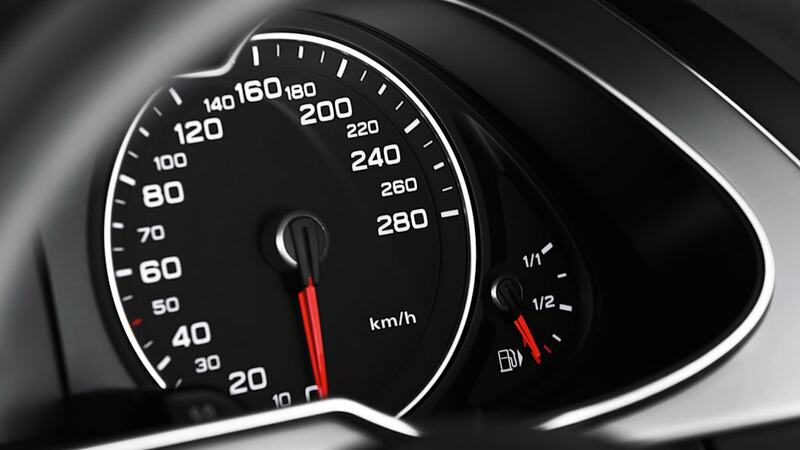 The Sedan's average fuel consumption is a mere 8.0 liters per 100 km (29.40 US mpg) – with an impressive performance: The S4 accelerates in 5.0 seconds from zero to 100 km/h (62.14 mph) and achieves an electronically limited maximum speed of 250 km/h (155.34 mph). The modified Audi S4 is identifiable from the changes to the headlights, the bumpers, the air inlets and colors. The interior also contains subtle changes in appearance. The S sport suspension and 18-inch wheels featured on the S4 deliver outstanding road grip. The prices of the A4 have changed only slightly, despite the extensive upgrading. For example, the A4 2.0 TFSI costs just 475 euros more – the sporty Sedan is now listed at 35,425 euros. The equipment, data and prices specified in this document refer to the model range offered in Germany. Subject to change without notice; errors and omissions excepted.